We designed a unique logomark to accompany our stylish rustic wordmark. Juxtaposing the world famous Tyne Bridge with some good old fashioned cutlery really sums up the ethos of Toon Lunch Club – the best food in the city at the end of your fork. 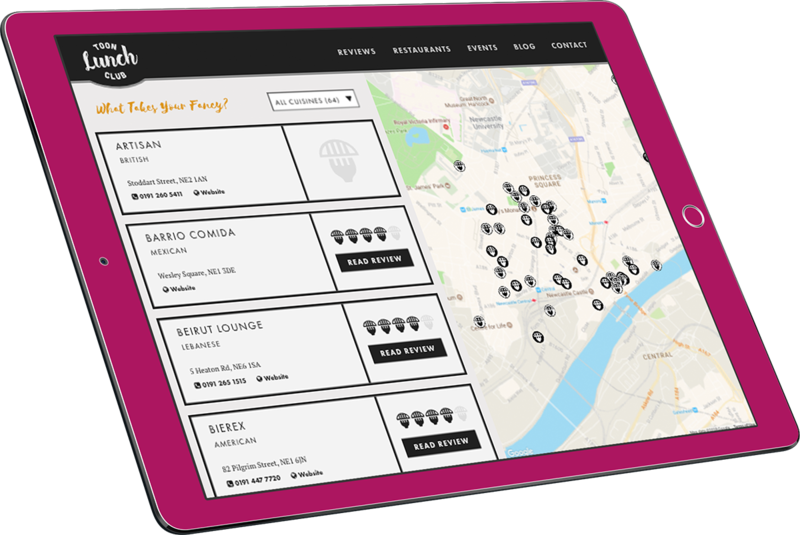 The website showcases restaurants in a number of ways – all exceptionally easy to use. 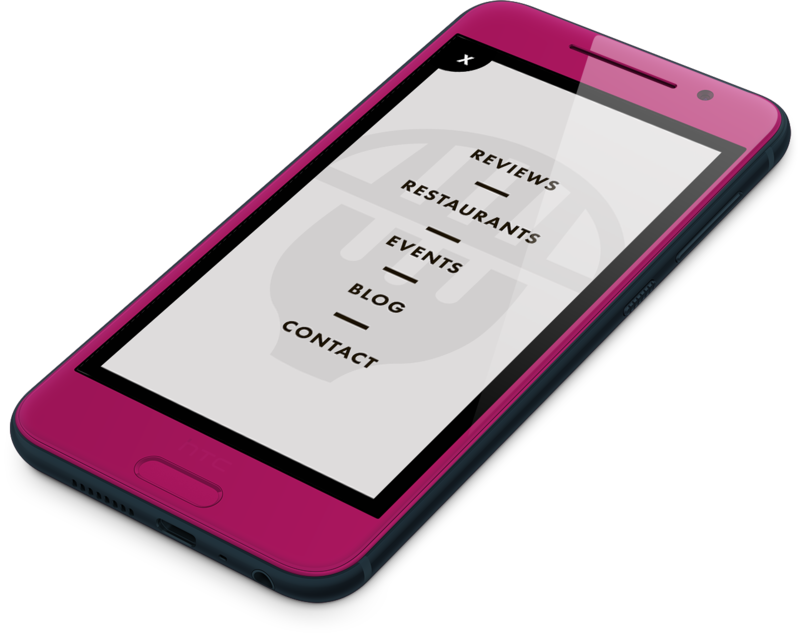 Users can read reviews with high quality photography, menu breakdowns and special Toon Lunch Club ratings, or enjoy editorial features detailing themes or events. Possibly the best way to find your geordie meal for the day is with the comprehensive foodie map of the toon. Filter by cuisine type and see the best eateries the city has to offer all at-a-glance. Click the map listing and you can read a review or get travel directions from your home. This feature is truly unique amongst the Newcastle foodie blog scene and really sets Toon Lunch Club ahead of the competition. 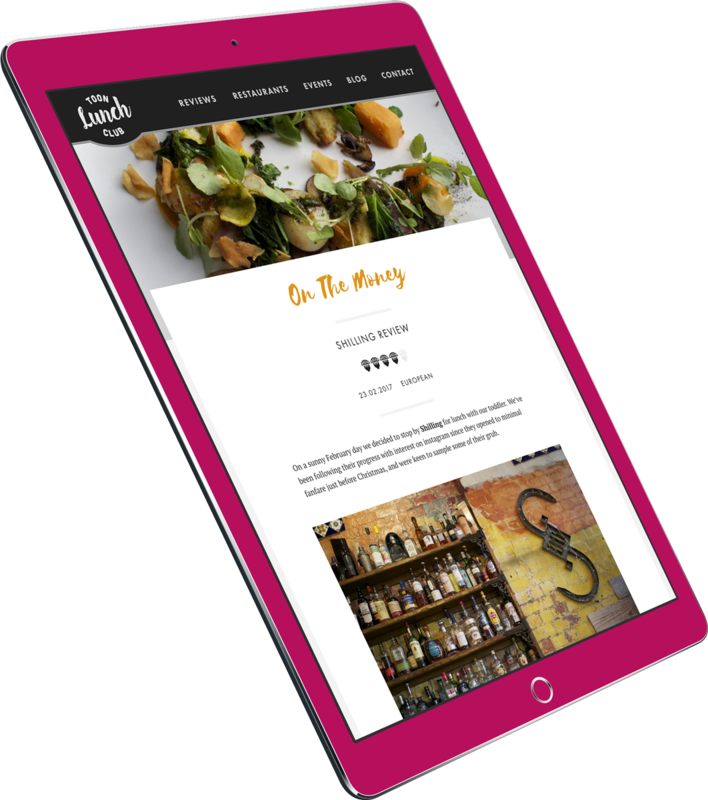 Since launching their new website, Toon Lunch Club’s audience has continued to grow thanks to regular, fresh high quality visual and textual content. The blog was nominated for a Northern Blog Award at the end of 2017, and 2018 looks like being an even better year.